K-Line aluminum joinery that has been used for renovation. 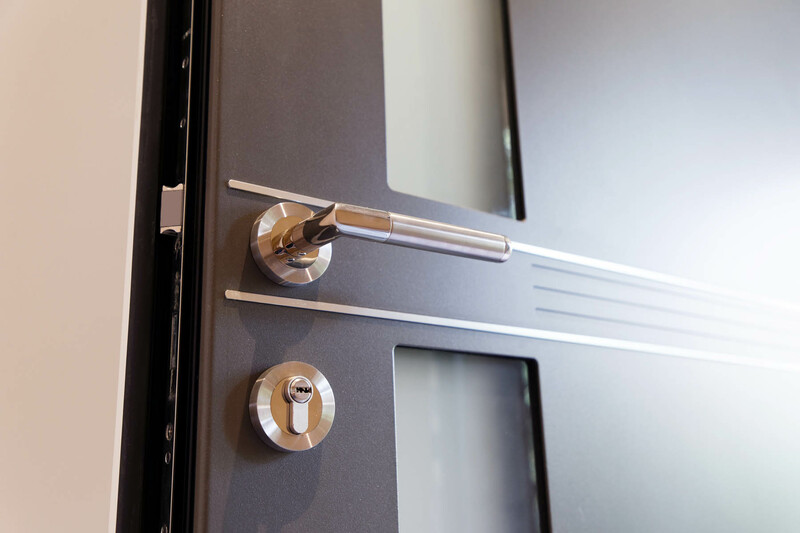 The entrance door is bi-color, aluminum brand K-Line model Quadrige. The interior is white 9016 S and the outer black sandblasted 2100. The awning is a venetian blind made of wood, natural color, with cord maneuvering.